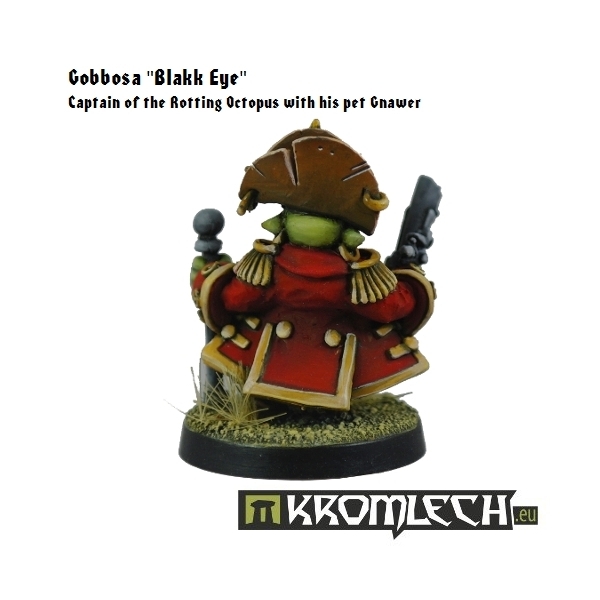 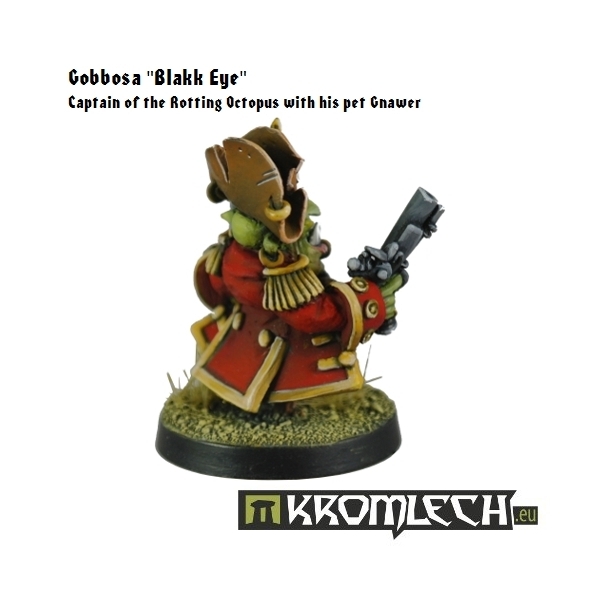 This set contains one proud and succesful goblin pirate captain Gobbosa "Blakk Eye" armed with Barking Irons together with his beloved pet Gnawer. 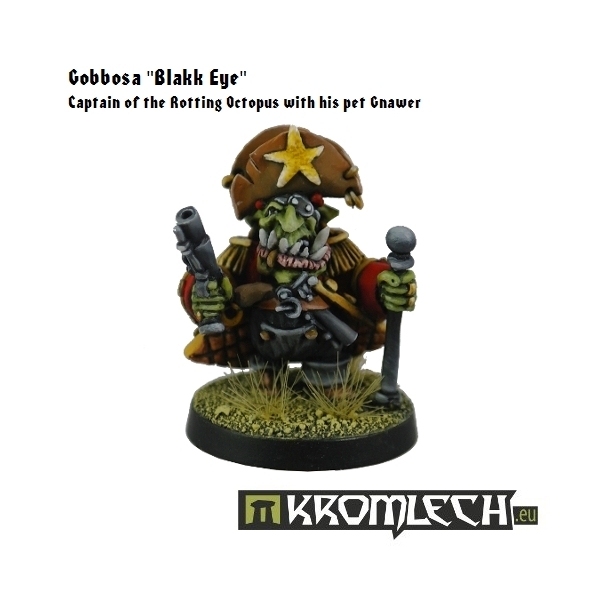 Bobbosa is owner of the infamous "Rotting Octopus" brig - ship full of greenskin salty dogs wreaking havoc on Southsea coasts. 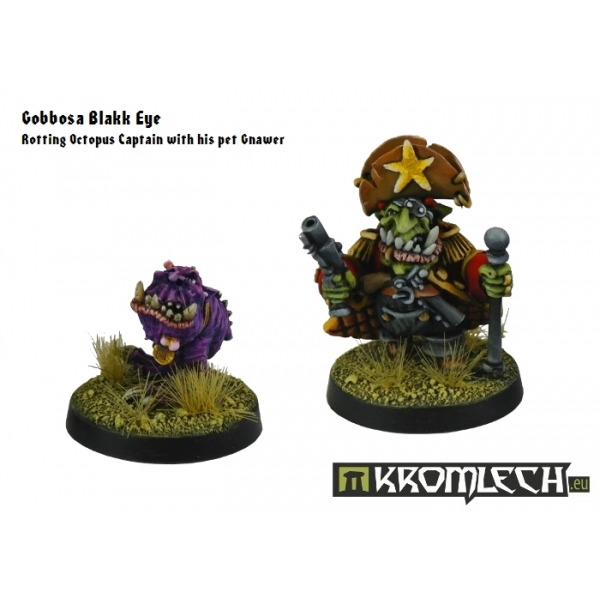 Two plastic round 25mm bases (or square 20mm bases) included. 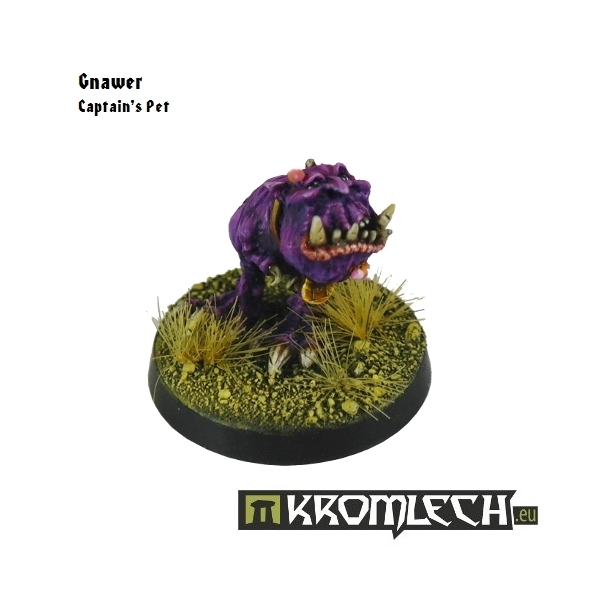 Choose base type from menu below.